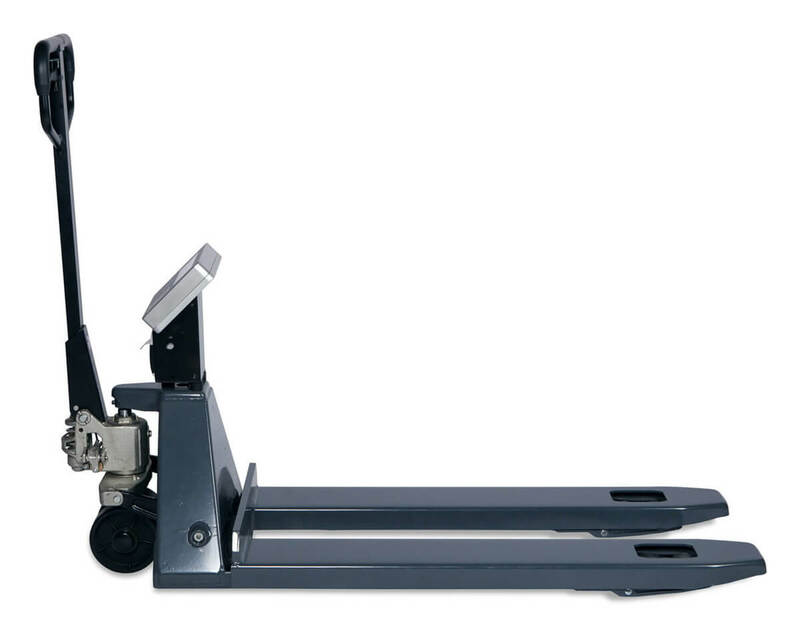 Product information "Pallet truck scales HLS-MC 2500"
The pallet truck with integrated counting Scale is the ideal solution for quick and easy weighing and counting at different locations. 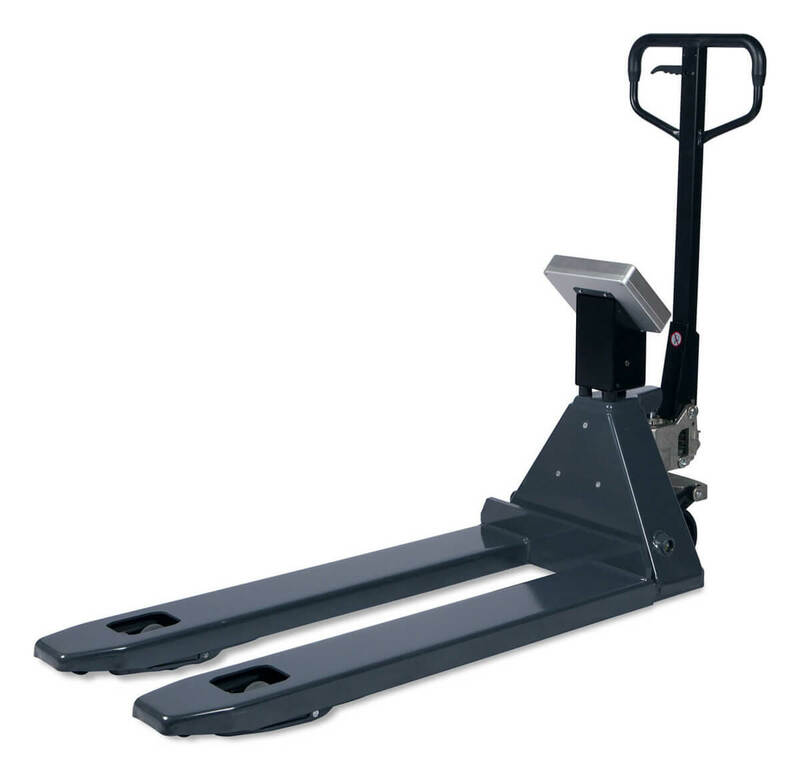 Especially in logistics, the pallet truck scale is advantageous. 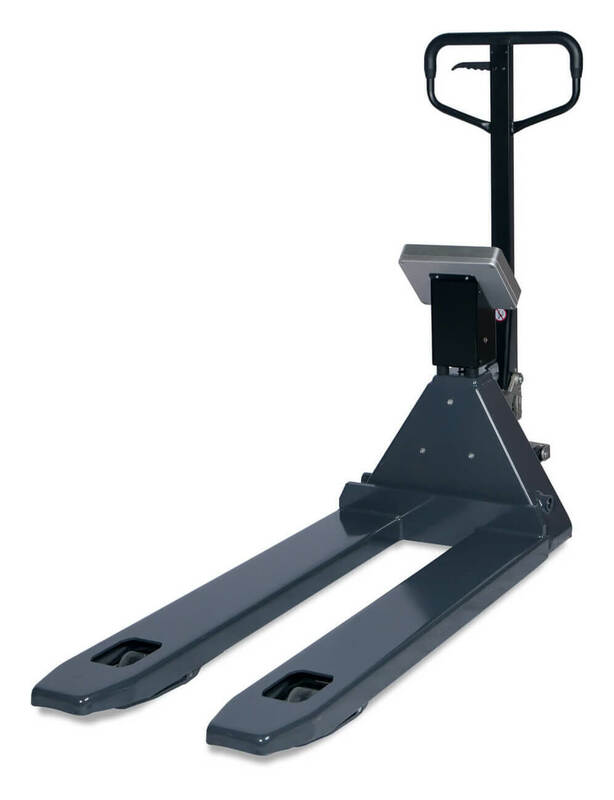 The pallet trucks with scale are simple in use and handling. 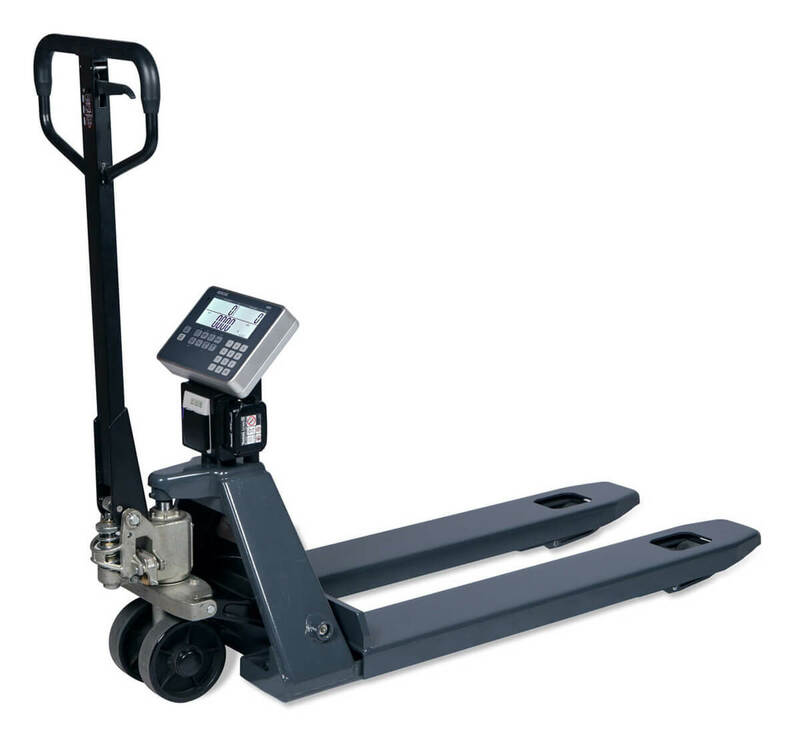 It is no longer necessary to remove the pallet from the pallet truck to weigh. 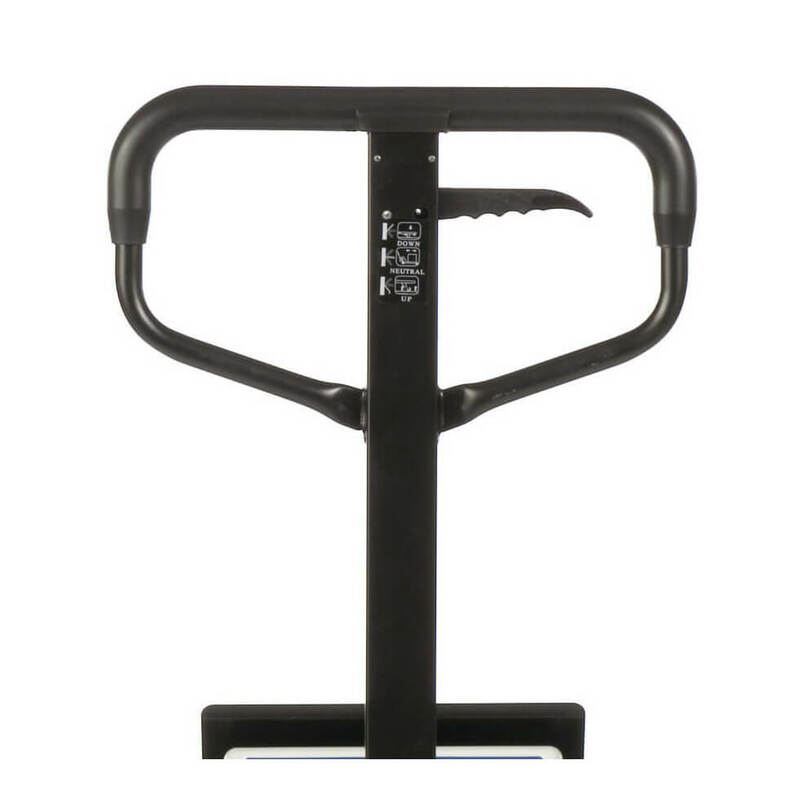 Just pump up and read off the weight. 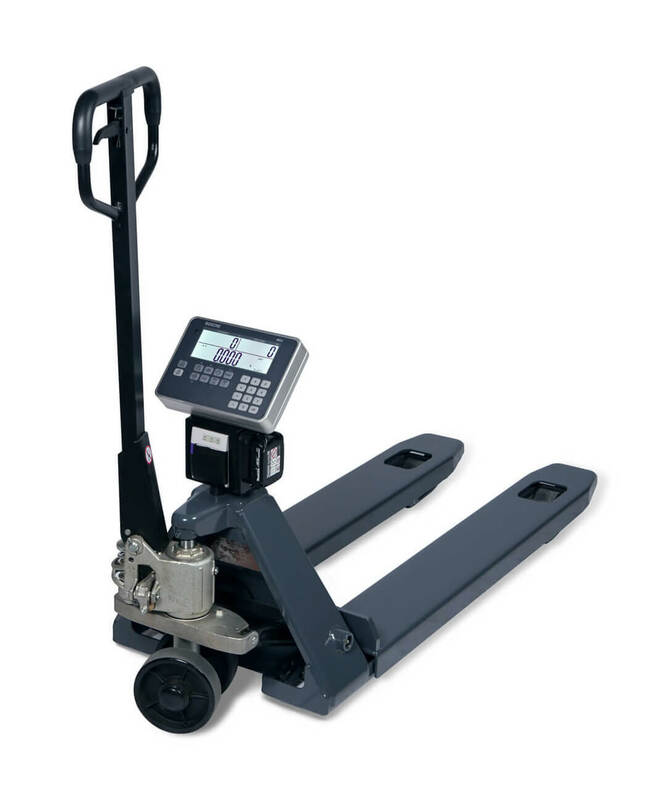 The rechargeable battery allows for weighing without connection to the mains supply. The battery life of approx. 40 hours (without printer) make the scales a most flexible working tool. 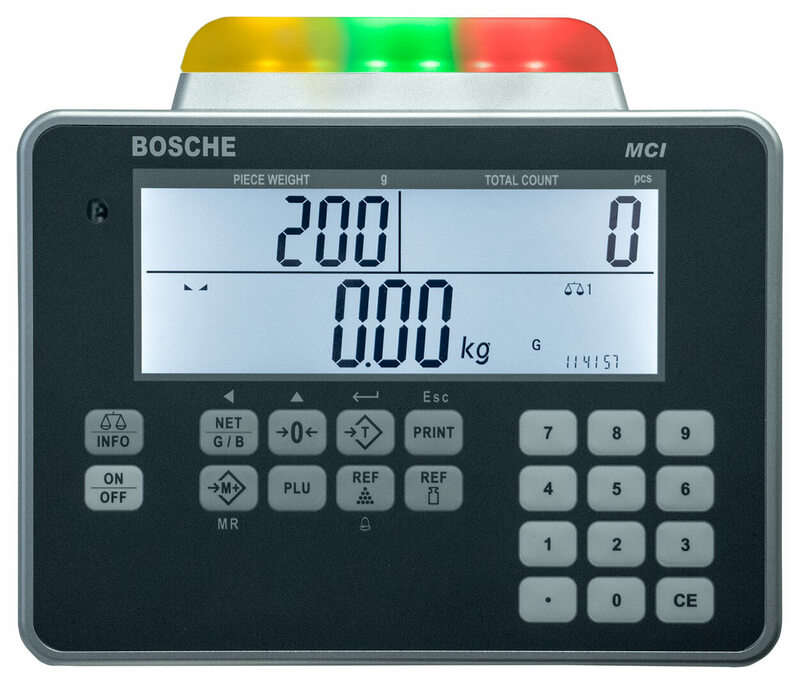 The adjustable backlight and automatic display shut-down reduce power consumption from the battery. 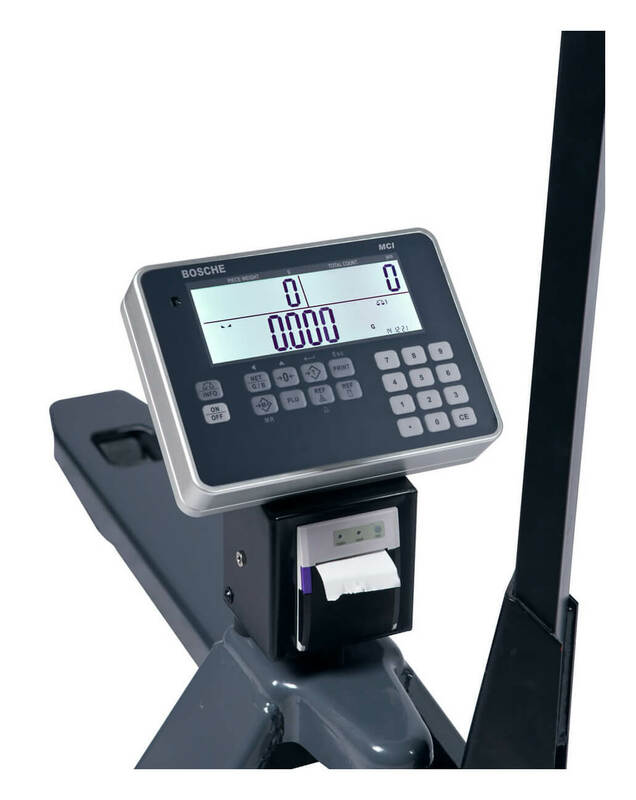 Optional integrated thermal printer for printing weight data is available. 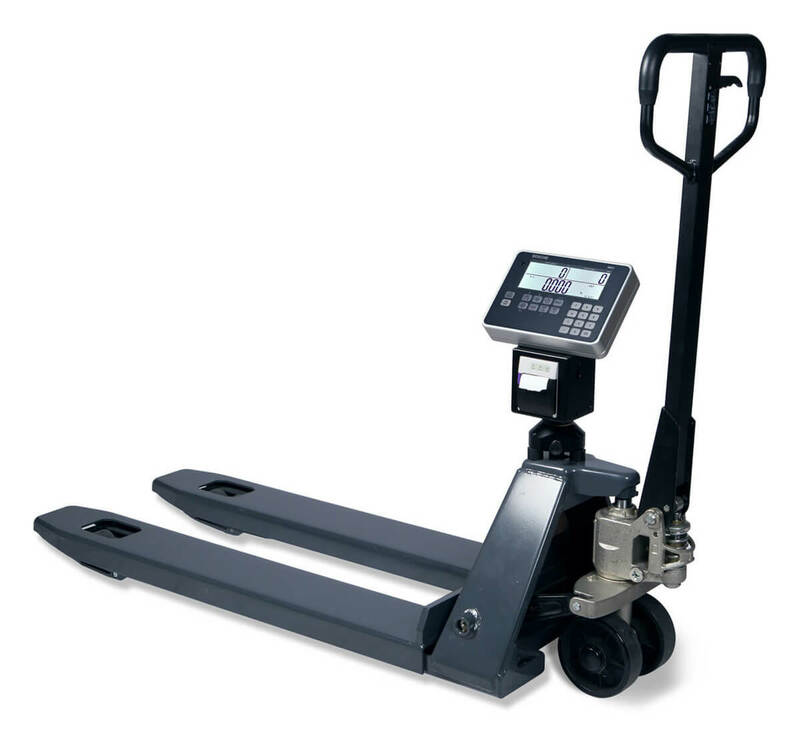 An optional, rotating weight display ensures best ergonomics in the workplace. The weight is always in view. 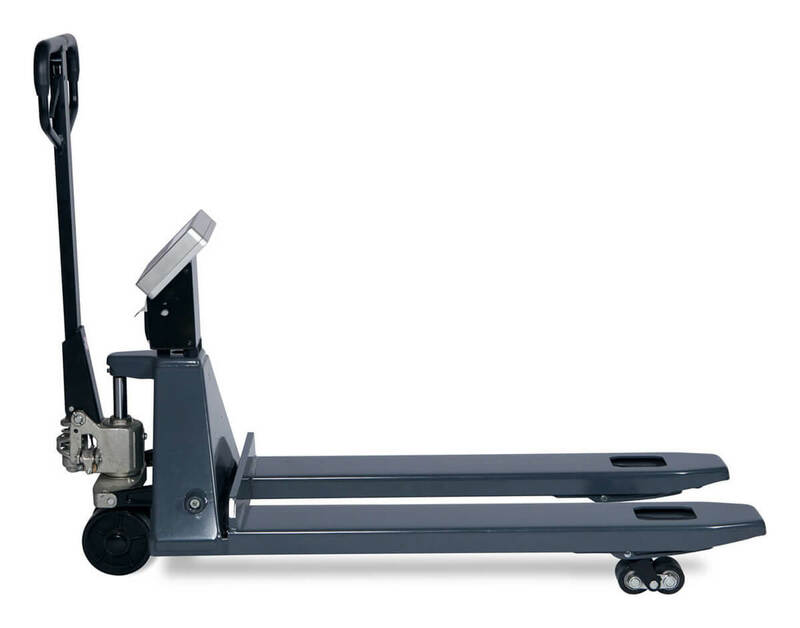 The optional quick to change rechargeable battery allows an unproblematic shift operation. Related links to "Pallet truck scales HLS-MC 2500"